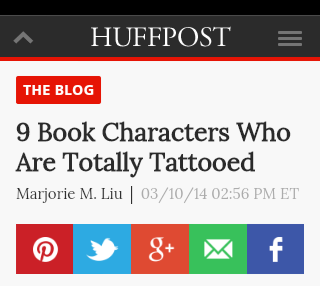 Even though the title is somewhat misleading (not all mentioned characters are totally tattooed), it’s actually interesting to go through the list and see good book characters covered with tattoos. My fav one is, of course, Lisbeth Salander. I would also add some other book characters to this list but it’s always like that – never enough! 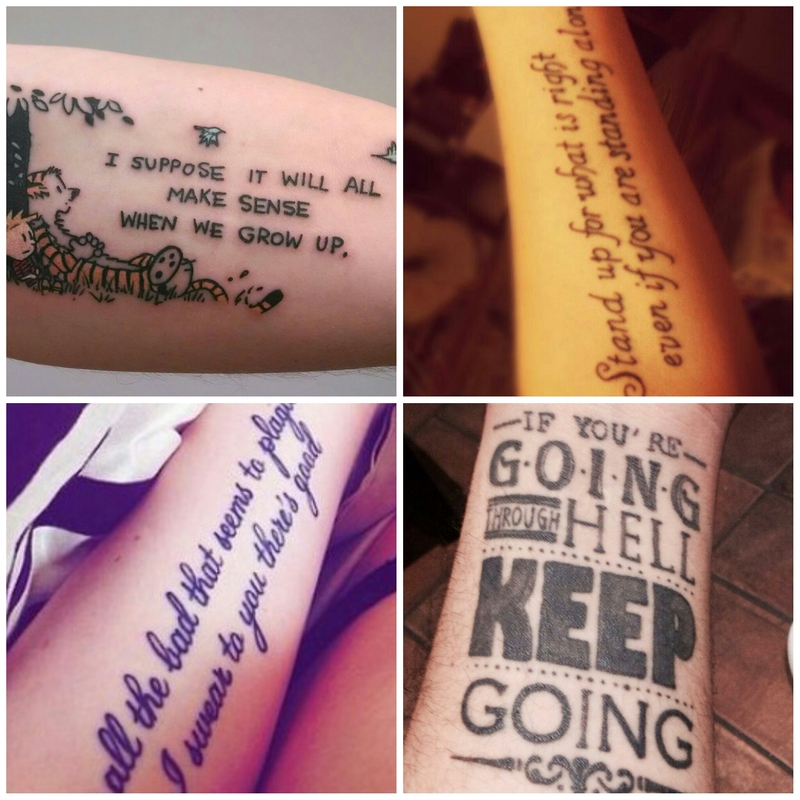 As a fan of text tattoos, I also loved this one! The pics are from the article!